I like Instagib, but it’s a lot more difficult to get good stream highlights onto YouTube from there. This run of the 1985 Japanese-only Famicom game Challenger was so watchable and the chat was so random that I jumped through the technological hoops to get this posted for all. 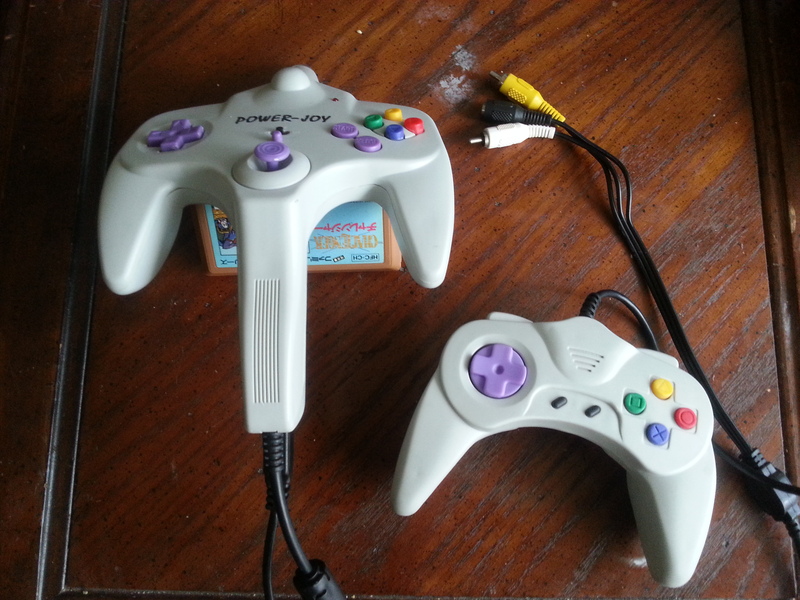 Challenger is famous for its control scheme which is backwards compared to modern games. On the NES controller, you would press A to shoot and B to jump. I actually played this on a Power Joy by Trump Grand that I bought for $5 at CORGS-Con, but it has the A and B buttons reversed. It makes the Power Joy terrible for most games but perfect for Challenger. The video below features Skype chat from myself, Jdetan, and Kinkaido, so of course it’s NSFW. Source: Challenger with Commentary – YouTube, which is edited from an .flv archive of my Instagib stream (Instagib.tv deletes archives after 24 hours), uploaded to YouTube, downloaded from YouTube as an .mp4, and finally edited in Pinnacle Studio 14 like my other videos. I really need to find a better way to do this. Also, the camera on my phone.